A great addition to any whole body vibration workout. 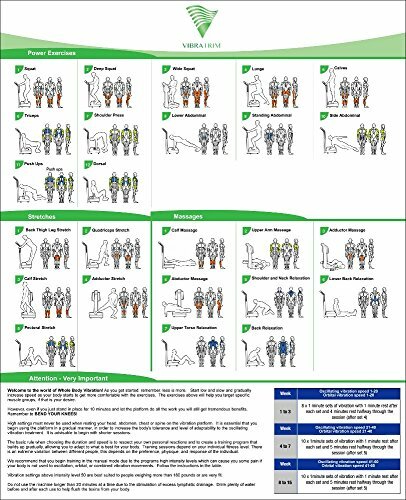 This poster was originally created for the VibraTrim, but can be used with any whole body vibration plate or platform. Disclaimer, the settings on any non-VibraTrim machine may vary and have different speeds than the VibraTrim machine settings that are listed on the poster. The Poster Size Is 18" x 24"
If you have any questions about this product by VibraTrim, contact us by completing and submitting the form below. If you are looking for a specif part number, please include it with your message.